Dignity is overrated. The truth is, if you want to succeed, pesky things like maintaining self-respect just get in the way. Consider, as a case study, this Florida man who set his mind to stealing a Subway sandwich. He could have accomplished this a lot of ways; he opted to simply shove the entire footlong down his pants. And that's why he's the one having an article written about him, and you're the one reading it, buddy. It's also the reason police in Florida are searching for him and bringing the public's attention to the crime of the century, which took place at a Marathon gas station in Lakeland, Flordia at roughly 8:45pm on November 25. 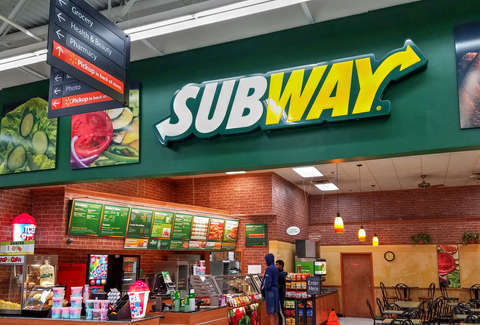 After unceremoniously lodging the footlong in his garment, the man paid for a soda and left the store, reports ABC Local 10 News. He then rode away on a bicycle. This is funny, yes. But the real gold here is the Polk County Sheriff's Office's response to the incident via a rambling Facebook post, which opens with the immortal phrase, "A sandwich thief walks among us." It continues: "While inside the business, the suspect concealed a foot long sandwich in the front of his pants. Now, stop right there. We know what you are thinking. Please resist—this is a respectable Facebook page. We are just reporting the facts. Too bad it wasn't a hot sandwich—that would have provided instant Karma to the pilferer." Then there's a brief aside about whether you should refer to soft drinks as pop, coke, or soda. It goes on: "Some of you may think we're overdoing it by trying to identify the suspect of a relatively minor theft...one of you is probably even saying, 'This is small potatoes!' And to that we would reply, 'No..this was a foot long sandwich, not potatoes. Pay attention!'" The post ends by asking citizens to step forward with any leads. No information has been provided as to what kind of sandwich it was.